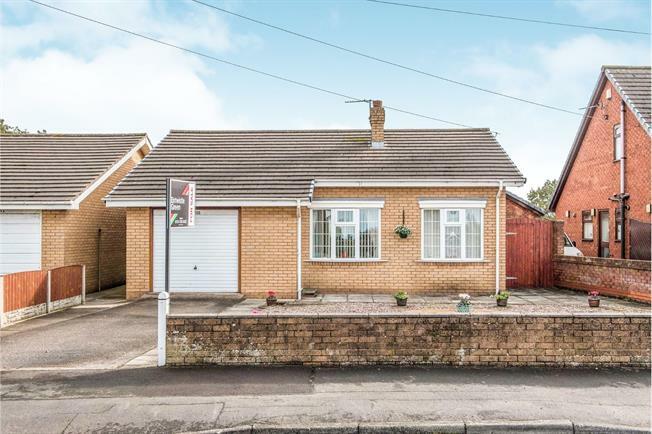 2 Bedroom Detached Bungalow For Sale in Liverpool for Asking Price £235,000. The property offers well presented, spacious, versatile accommodation throughout. Comprising entrance porch, living room, inner hallway, two double bedrooms, dining room (third bedroom) and a bathroom. Externally there are enclosed low maintenance gardens to both the front and rear, driveway and garage. With countryside views to both the front and rear, this desirable property is being sold with no onward chain. An early internal inspection is strongly recommended. Doors off to various rooms. Two built in cupboards. Double glazed window overlooking the garden and double glazed door leading out to the garden. Range of wall and base units incorporating composite sink and drainer. Space for free standing cooker. Space for washing machine. Space for fridge freezer. Tiled splash backs. Double glazed French doors to the garden. Serving hatch to the kitchen. Radiator. Double glazed window to the front enjoying countryside views opposite. Radiator. Double glazed window to the rear overlooking the garden. Radiator. Double glazed window to the side. Suite comprising large shower cubicle with electric shower, pedestal wash hand basin and WC. Fully tiled. Heated towel rail. Loft access. Up and over door.